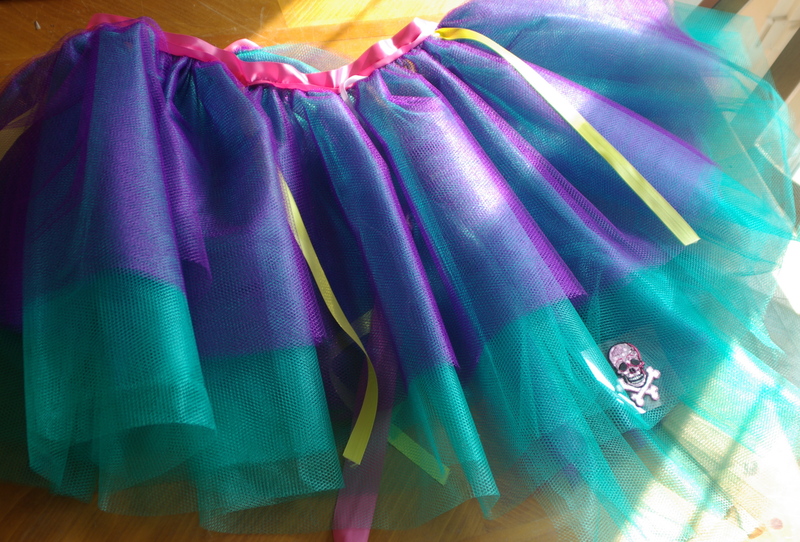 My Tutu for Tanner. I look like the cracked out hippo from Disney's Fantasia when I wear it. Last summer, I had the opportunity to meet a little boy, the nephew of a good friend of mine. He was typical of most little boys; he loves dinosaurs, has a passion for Disneyland and dribbled ketchup down his chin while he ate his hamburger. He made silly jokes and liked to tease me and like my son, he stole my camera and took insane pictures of everyone around him and laughed maniacally when we'd mug for him. He was pure joy wrapped up in package of shaggy hair and goofy smiles. 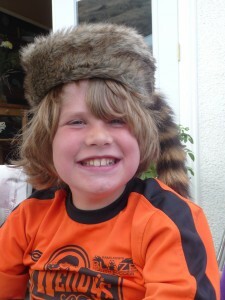 His name is Tanner and he has Duchenne's Muscular Dystrophy. His story is here, on his aunt's site and it would be worth your time if you read it. I didn't like Tanner because he is disabled or dying and I felt sorry for him. I liked Tanner because he was funny. And pure. And he reminded me of my sons and for the few days I was lucky enough to spend with him, I was too busy loving him to remember I missed my own children. But for all the joy Tanner shares with the world by simply existing, his mother wears a worn smile and hides the knowing look behind her eyes. She knows her time with Tanner is limited and she's determined to make the most of what time he has, to wring the last drop of love and grace and joy out of her son's life. To create memories that will last her a lifetime once he's inevitably gone. I have often put myself in Tanner's mom's shoes and wondered if she is luckier than I am. She knows the outcome of her son's disabilities and she can prepare for it. Is that better than suddenly being hit over the head with an unexpected death? I never got a chance to make sure Shale's dreams came true, I didn't know the last time I tucked him into bed would be the last time he'd ever look at me with his big blue eyes and smile. In the end, it doesn't matter. Shale is gone and one day Tanner will be too. No matter the paths Tanner's mom and I took to get there, our destination is the same. One day we will be standing side by side, grieving the lost lives of our boys. We will both be members of the same club no parent should have to be in. Tanner's time is running out. But unlike Shale, Tanner may not get the luxury of living out his last moments of life in his own house. Tanner's disabilities and medical conditions are threatening to take him away from his home and force him into a hospital. No child should have to die in a hospital, away from the comfort of home. Tanner's mom needs help keeping her son home with her for as long as he lives. Which is where the inspiring and gracious Scott Stratten comes in. He's hosting and managing the awesome #TutusForTanner Great Tweet-A-Thon Auction. It's live right now and the prizes are incredible. There is an ipad, an ipod Touch, a trampoline, a trip to Vegas and so much more. I'm just too damn lazy to type it all out. A complete list of prizes available is here. I couldn't imagine not having my son with me when he passed. And when I think of Jumby and his fragile medical health and what the future holds for him and how long his timeline might be, my guts twist at the thought of not being able to take care of him until his end simply because I couldn't afford the nursing care required to keep him home. That is a crime and it's one Tanner should never know. So I'm holding out my hand and asking for a little help. It doesn't matter how much you can donate, only that you donate. Do it for Tanner. Do it for every child who doesn't have a lot of days left to make their dreams come true. Donate with the ChipIn widget below and for every $10 you donate you will get a raffle entry to win one of the awesome prizes below. $100 gets you 10 raffle entries. After donating, PLEASE go here to pick which prizes you’d like to be entered for. The Tweetathon will be over at 9pm EST on Wednesday. Only donations during that window will qualify for the prizes below. Everyone who donates $50 or more gets access to Scott Stratten's (@unmarketing) UnBootCamp (5 week online course) as well. If you donate $200 or more, not only do you get 20 raffle entries, he will also do a video screencast review of your website and/or Twitter/Facebook page.